In everyday driving, the aerodynamics of a vehicle plays a major role on fuel consumption, leaving you to wonder how the 2012 Mercedes-Benz B-Class is able to achieve good gas mileage. 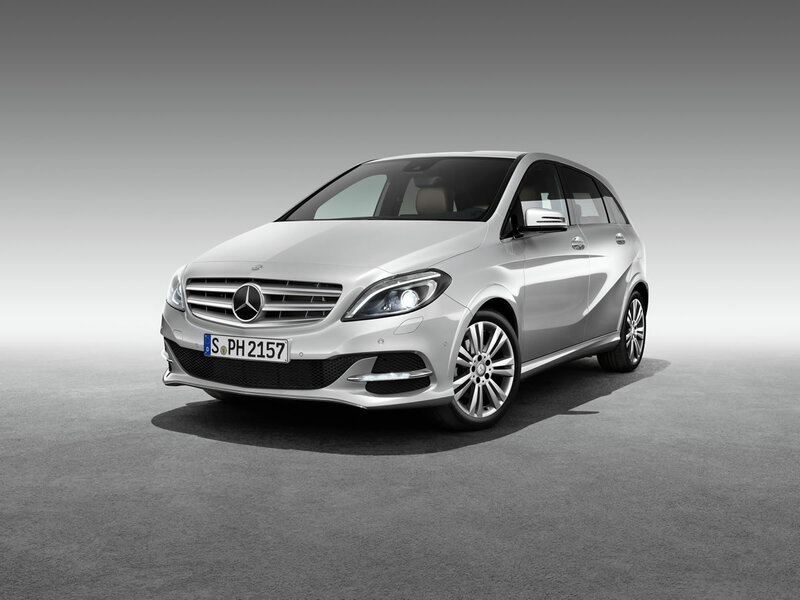 Designers at Mercedes worked hard to give the new B-Class an outstanding drag coefficient of cd = 0.26, placing the new Mercedes B-Class at the forefront of its market segment. In the near future, with the optional ECO Technology package, the five-door B-Class will achieve the world-class aerodynamic credentials of the E-Class Coupé, attaining a drag coefficient of cd = 0.24 which is nothing short of sensational for a vehicle with a station wagon rear end. If you are unfamiliar with cd values, a change of cd .01 adds up to .11 gallons per 62 miles at a speed of 80 mph. It may not sound like much but you are saving over a gallon of gas between every fill up. Designers and aerodynamicists worked closely together. Aerodynamically efficient lines are demonstrated by the exterior mirrors with braces, for example. The low height of the shoulder on the A-pillar accompanied by optimised A-pillar geometry also contributes to the good aerodynamics. The entire front apron is sealed, including special seals fitted on the headlamps, for example. The large roof spoiler at the rear provides for defined flow separation. Flow losses at the front wheel arches have been reduced substantially with the aid of innovative serrated wheel spoilers at front and rear – patent pending -, slots in the wheel arches and optimised hub caps. These measures result in improved wind flow around the wheel arches. Equally comprehensive measures have been undertaken to design the underbody along aerodynamic lines. The main floor panel features extensive cladding up to the rear wheel arch, followed by additional cladding of the rear axle. The rear silencer has also undergone aerodynamic optimisation. The improved cooling air flow by means of an adjustable radiator shutter which is familiar from other Mercedes models now features on the basic petrol-engine model in the B-Class. This feature enables infinite adjustment of the air flow through the engine’s cooling module and the engine compartment by means of a circular louvred shutter installed in parallel with the fan. When there is no special need for cooling air, the shutter is closed. This improves the aerodynamics and reduces fuel consumption. The ECO Technology package, which will be optionally available for all versions of the B-Class, incorporates additional optimisation measures designed to further reduce drag. These include lowering of the body, the sealing of joints at the rear window and the cladding of chassis components at the rear axle. The aerodynamics of the new B-Class were optimised at an early stage in the development process by means of complex computer calculations and flow simulations. Over 275,000 CPU hours were required for the purposes of digital flow simulation. Models and prototypes spent around 1100 hours in the wind tunnel for measurement purposes.